Whenever someone says the word CB, one of the first things they probably imagine is the song "Convoy," which became the trucker anthem in 1975. While many things have changed in the trucking industry like how electronic logs will soon replace the swindle sheets, the CB radio remains one piece of technology that will likely remain on the trucker's dashboard. Sometimes you can't explain a random fad like pet rocks. However, CB radios were one craze that first began during the 1973 gas crisis. During this time, the government first imposed a nationwide speed limit of 55 miles per hour, which infuriated many truckers, and they turned to their CBs to rant and trade information about speed traps and cheap gas. Eventually, the Federal Communications Commission dropped a license requirement. After this point, the CB radio exploded in popularity and became a cheap way that non-truckers could participate in the trucking culture. CB Radios: the Precursor to Facebook? Before you had social media, you had CB radios, and when you flipped the station to Channel 19, you could step into the shoes of a new identity. 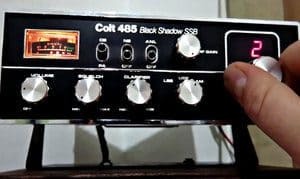 The CB radio gave you a way to communicate with strangers and friends, and you could share information you wanted to pass on, but you could also get into long and heated arguments with strangers. The CB radio craze first started to die off as Star Wars and Cabbage Patch Kids became popular. While CB radios never vanished, the craze around them did start to die down. Truck drivers soon got new electronics like GPS and smartphones. Gary Hill, the category manager at RoadPro Family of Brands, said that CBs still act as a tool of safety for truckers. For example, you have certain places within the United States, in particular, the West Coast, where you have poor cell phone reception. One of the fastest ways that truckers can notify their buddies about the level of traffic, bad weather and road hazards is through the CB. In fact, some terminals even insist on speaking with truckers through the CB. One example of a CB saving a trucker's life was about a decade ago when a truck driver near Pittsburgh lost control and drove off the road through the woods. He spoke over the CB for help, and his base operator called the police and directed them to the injured trucker. In one of the amazing stories about the CB radio, one group of truckers in Tennessee learned how a motorist had kidnapped his son and planned to flee. The truckers coordinated their driving to box in the kidnapper. In today's world, truck drivers might not have to rely on their CB radio for everything they need. However, most have still not found another piece of technology that works exactly like the CB. No need for the internet. Connect with other drivers on the road. Great when you want to communicate with a group. Effective way to relay information to others. No one needs a license to make use out of a CB radio, which means that anyone from anywhere can use it, as long as they follow a specific set of guidelines. Normally, you have an amazing range of the CB radio too. For example, you usually will get a range of up to 20 miles. 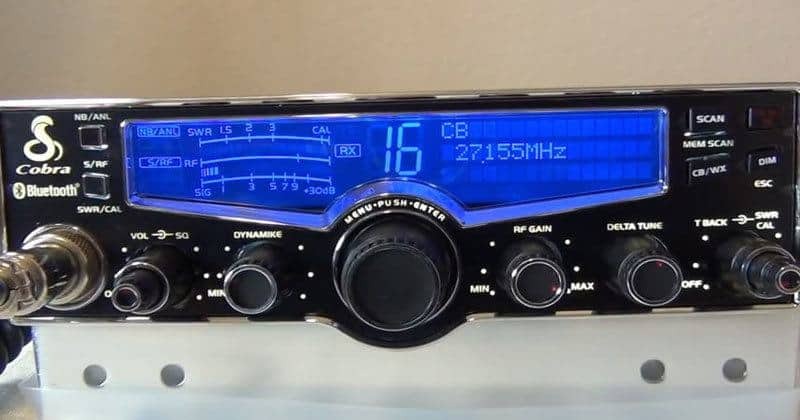 When you go to choose a radio, you should understand how CBs will have a limit of four watts of transmission power, which will have an impact on their range. Beware, playing music over a CB radio is illegal. CB radios are intended for the purpose of communication. You might also use them as a public address system. CBs have sometimes been used during search and rescue missions. Another one of the reasons people have sometimes kept a CB radio is for emergency and disaster situations. For example, hurricanes have been known to knock out cell phone towers. Considering this communication means life or death after an emergency, a CB radio has turned into a survivalist emergency preparation tool. CB radios have also been known to broadcast weather report. However, they will first need access to the local NOAA radio station, which will report a full update of the weather, and it will use real-time weather information. Sometimes the CB won't have access to this. This information has quickly turned into an asset for disaster and emergency situations. For those who want the emergency channel, you will tune into channel nine. Meanwhile, Channel 19 has been intended for truckers and those who are road bound. Where Else Do You See CB Radios? Outside the use with truckers, you also sometimes see CB radios used on the farm because they're a cheap way to communicate. In Mexico, CB radios have sometimes been used as a means of dispatching the taxis. Police officers have also been known to use the CB radio. One of the biggest goals of the CB radio is to connect people with each other. CB radios make for a fun way to communicate with your buddies. For example, perhaps you're all headed to a big music festival, and you want to stay in touch with your pals while on the highway. A CB radio will let you communicate even while you're on the road. To sum it up, CB radios haven't necessarily died out, but the popularity around them has gone down since their first invention. They have always been an important tool of truckers because of how it lets them communicate about road conditions and about accidents on the CBs. CB radios have proven so useful that they're not likely to be replaced by anything anytime soon. That's why they haven't completely died out and remain a popular choice among truckers. What Does CB Radio Stand For – Do You Know?